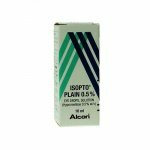 GelTears is used for the symptomatic treatment of ‘dry eye’, which is a dehydration of the surface of the eye resulting from disturbances in tear secretion or tear quality. The dry eye condition can also be caused when it is not possible to close your eye lids either partly or completely. This condition is so common that one in five patients who go to see an ophthalmologist suffers from a dry eye condition. There are many causes, such as reduced tear production in old age, air-conditioned rooms, computer work, hormonal changes during menopause, etc. Environmental and climatic effects can also play a role in the development of dry eye conditions. What do we understand by the term ‘dry eye’? During the course of the day we blink 14,000 times on an average. With each blinking motion of the eye, a very thin tear film is distributed over the surface of the eyeball, which keeps it smooth, clean and moist, and protects the eye from pollutants. When the volume or the composition of the tear film is disturbed, desiccation phenomena (drying out) of the cornea and conjunctiva occur and the patient experiences symptoms such as burning, dry eye sensation, gritty feeling, feeling of pressure, and sensitivity to light. 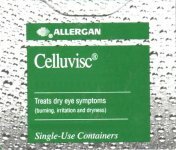 Geltears is a soothing gel solution which moistens the eye and provides tear-like lubrication to the eyes and eye lids. 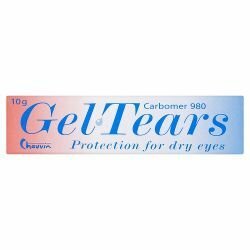 The carbomer in GelTears increases the thickness of the gel which assists the gel in remaining in contact with the eye for a longer period of time. • Take breaks when working in front of a computer screen. It is, however, also important that you consult your ophthalmologist regularly for follow-up examinations, because dry eye conditions may lead to a serious disease if they are treated incorrectly or inadequately. 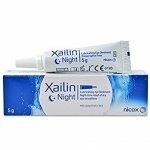 Unless your doctor has told you differently, the standard dose is to place one drop of gel in the corner of the eye, nearest the nose, 3 to 4 times each day and approximately 30 minutes before going to bed. The amount of gel used should be enough to cover the eye properly. 2. Twist off the cap. 3. Look upwards and gently pull down the lower eyelid. 4. Hold the GelTears tube just above your eye and gently squeeze until some gel falls into the gap between your eyeball and lower eyelid. 5. 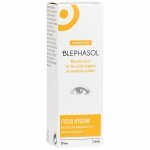 Release the lower eyelid, and move your eye while open to ensure the gel covers the eye completely. 6. Repeat the process in the other eye if necessary. Do not use this gel if you are sensitive to any of the ingredients. If GelTears is used at the same time with other eye drops/eye ointments, there should be an application time interval of approximately 15 minutes between use of such other medications and GelTears should always be the last medication to be applied. If you are pregnant, may be pregnant, or are breastfeeding, tell your doctor before using this product. It is possible that you will still receive it, but it is also possible that an alternative may be used. Take special care with GelTears if you wear contact lenses. You should take them out before using GelTears, and then wait for 15 minutes after application before putting them back in. Benzalkonium chloride is used as a preservative in GelTears, and is known to be absorbed by soft contact lenses. Over time benzalkonium chloride can collect in soft contact lenses, and therefore may cause irritation, or discolour the lenses. Therefore use of Geltears while using soft contact lenses is not recommended. 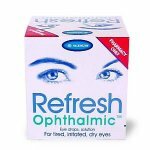 GelTears can, however, be used with daily disposable lenses because a new pair is used each day. As with all eye preparations, you may have blurred vision for a little while after putting the gel in. Wait until your vision is clear before driving or using machines. 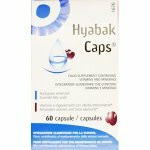 It is very unlikely that you will suffer an overdose from using this medicine, but if you suddenly feel unwell after using the gel, tell your doctor or eye specialist. develop pain, swelling or redness in or around the eyes, you should stop using your medicine and consult your doctor or pharmacist. Do not use the eye gel after the expiry date. This is marked on the tube and the carton after the letters “EXP”. Store GelTears eye gel below 25ºC (normal room temperature). GelTears is sterile until first opened. It is important to keep the tube as clean as possible during use. The tube has a flat cap, which allows it to stand in an upright position. Dispose of any remaining contents 28 days after first opening the tube. It may be helpful to make a written record on the tube of the date on which you opened it. Remember this medicine is for you. Do not give it to someone else. Carbomer, benzalkonium chloride, sorbitol, sodium hydroxide and purified water.